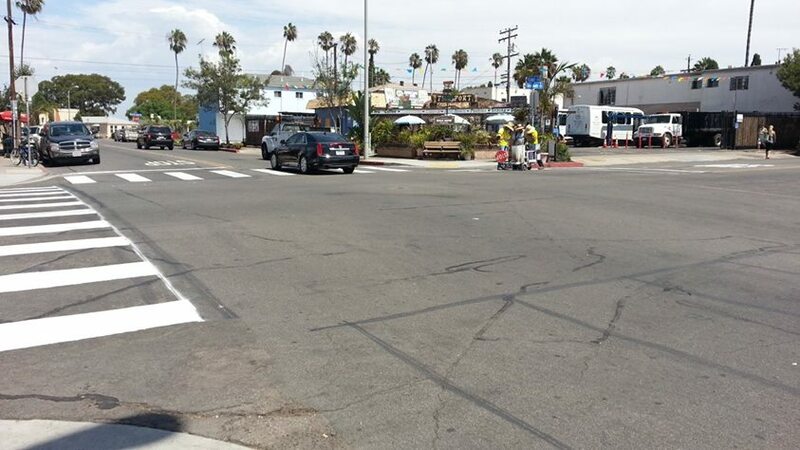 Ocean Beach received another crosswalk yesterday, Sept. 9th, thanks to the city of San Diego. This one went in at Voltaire Street and Cable. Locals have complained that this is a somewhat dangerous intersection and the crosswalks add an element of needed safety. And what with new businesses opening up on Voltaire – (CJ’s Bakery, the Mike Hess Tasting Room) – it’s anticipated that this intersection will see even more pedestrian traffic.